Night buses 90A, 90N and 96N will start serving a new bus stop located along Itäväylä from 15 August 2016. This means all buses going in the direction of Vuosaari will serve the same bus stop in Itäkeskus. 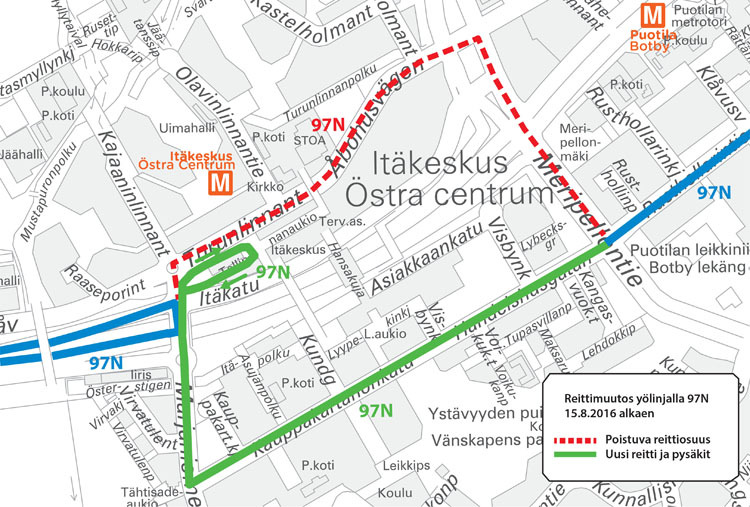 Night bus 97N will be rerouted to run along Kauppakartanonkatu instead of Turunlinnantie. 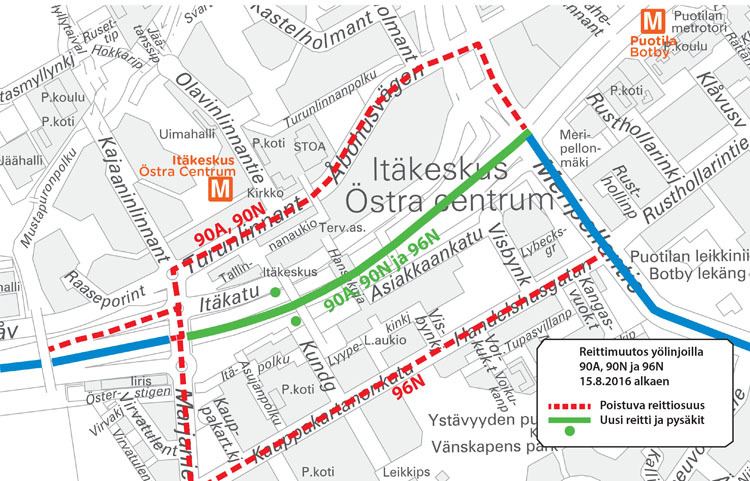 The bus will run via the Itäkeskus bus terminal and replace route 96N, which is rerouted to run along Itäväylä instead of Kauppakartanonkatu.